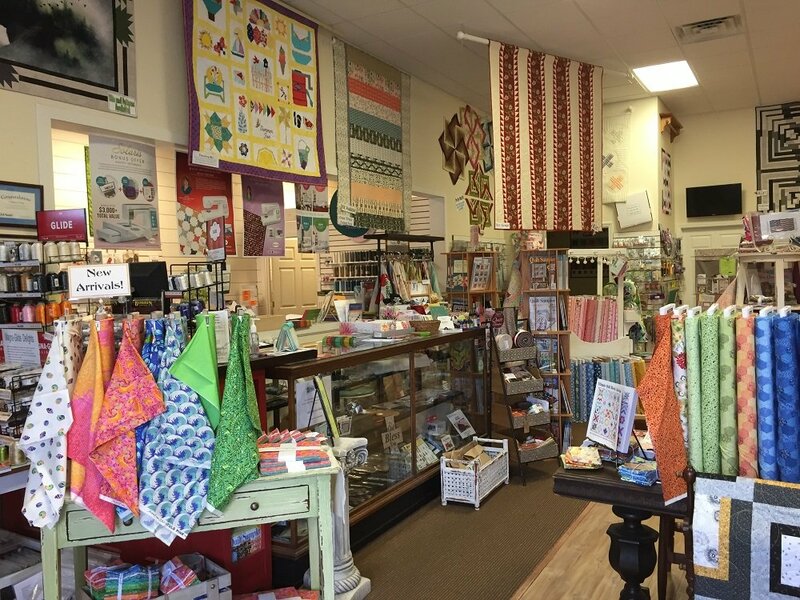 Franklin, NC's full service quilt shop and creative sewing center. 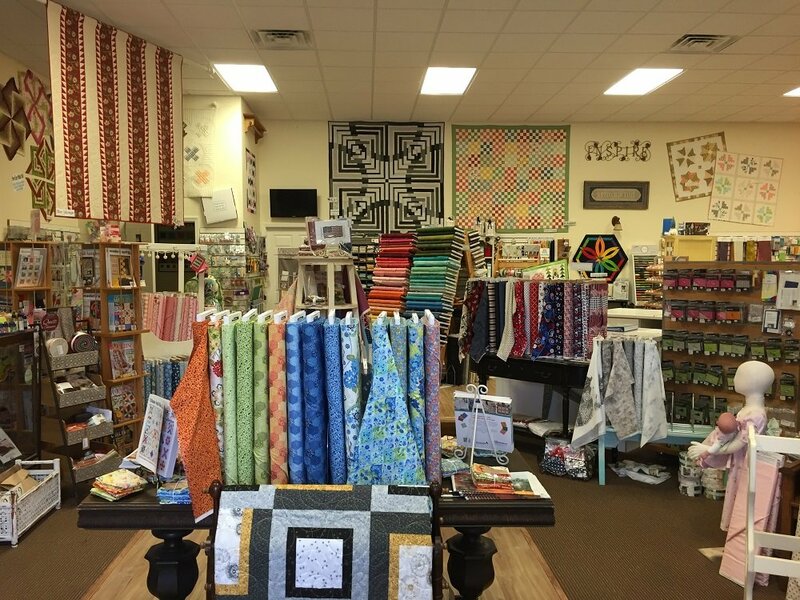 Located in the picturesque Great Smoky Mountains of Franklin, NC, A Stitch in Time offers quilting and sewing supplies to visiting quilters as well as the many locals. 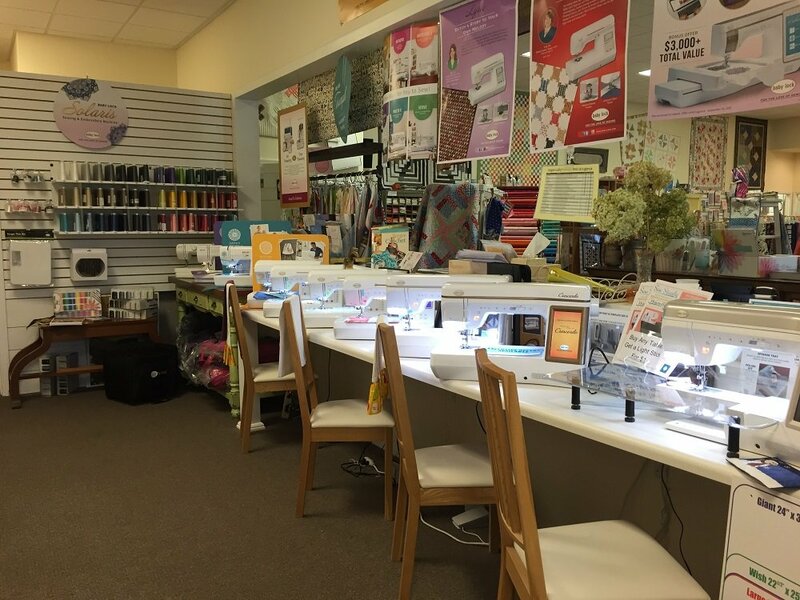 After 20 years in public and corporate accounting, Lynn left that world to pursue her passion in quilting and became the new owner of A Stitch in Time in August 2017. Creatively packaged quilt kits, patterns, books and original designs exclusive to A Stitch in Time are offered. 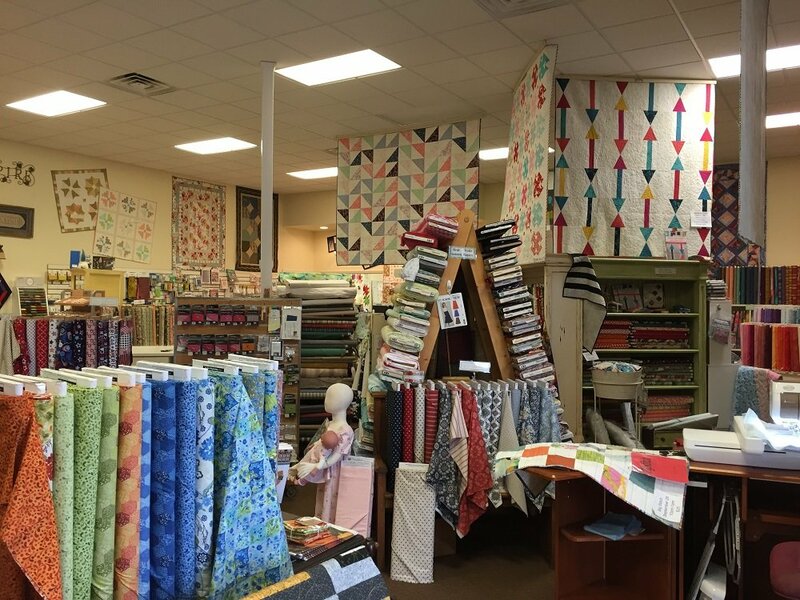 A large range of buttons, trims, ribbons, threads and a full notions wall round out the selection. 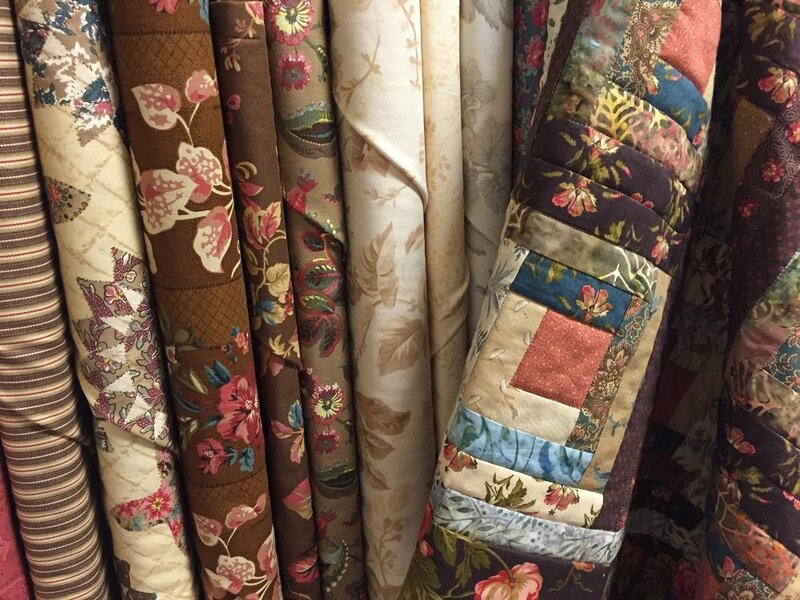 Fabrics include cottons, canvas, rayon, batiks and more. 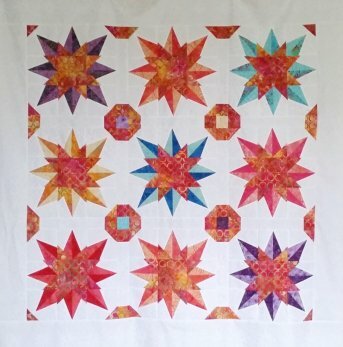 Favorite designers are featured, including Amy Butler, Kaffe Fassett, and Bonnie Christine, along with traditional fabrics such as Kansas Troubles and 30s prints. A Stitch in Time is an authorized Baby Lock dealer. In house repair service by a certified technician is also available. 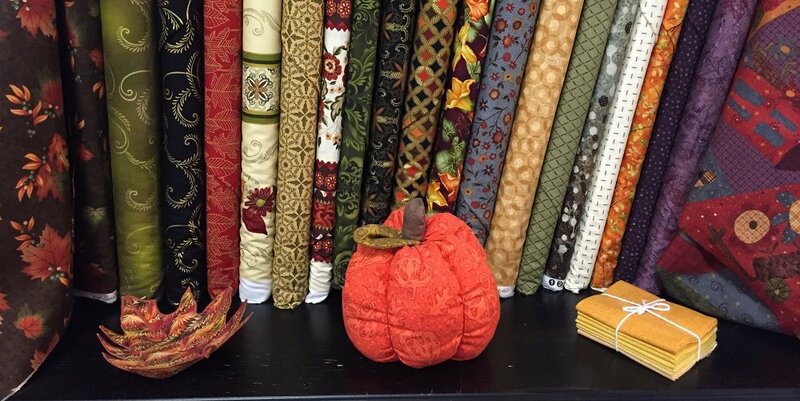 Whether you're eager to create an heirloom for generations to come or to fashion a utilitarian quilt for snuggling next to the fire, A Stitch in Time has all your quilting needs. Farmhouse BOM Enlarging the Quilt 109"x109"
Farmhouse BOM - 6 month - 88.5" x 88.5"
Farmhouse BOM - 10 month - 88.5" x 88.5"